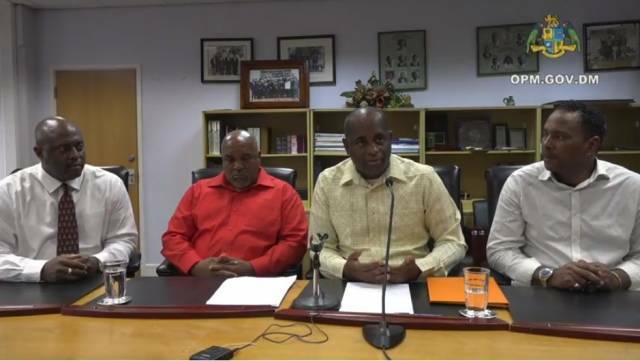 Prime Minister Roosevelt Skerrit has said he will begin meeting with those those affected by the departure of Ross University School of Medicine from the island. Mr. Skerrit announced the school’s departure after operating on island for forty years on Friday 3 August 2018. He explained that Tropical Storm Erika in 2015 and Hurricane Maria in 2017 led to the medical school’s decision to relocate. “In the days ahead the government will meet with those affected to discuss the future and we shall be able to share with them the plans for them specifically and the country in general,” he assured. These meetings is set to begin as early as Friday he said. In light of the number of persons who will be directly affected by the university’s decision, he said, the government has made certain requests. “We were also very strident in our lobby for our recognition and appreciation of the fact that the closure of Ross will have a serious negative impact on the economy and the many businesses in the north, in Picard, Portsmouth. Many businesses were there for Ross in good times, throughout their times and we’re hoping that Ross can be there for them in their darkest hour,” he said. Many Mr. Skerrit continued will need support and therefore it is hoped that Ross University will reflect and appreciate this. The government he said looks forward to favourable response in that regard. He added that due to the cordiality of the relationship between the island and the university will allow for opportunities to discuss other benefits to the people of Dominica and for those in the north specifically. Meanwhile the Dominican leader said the government will create an economic and social dislocation fund for those affected.